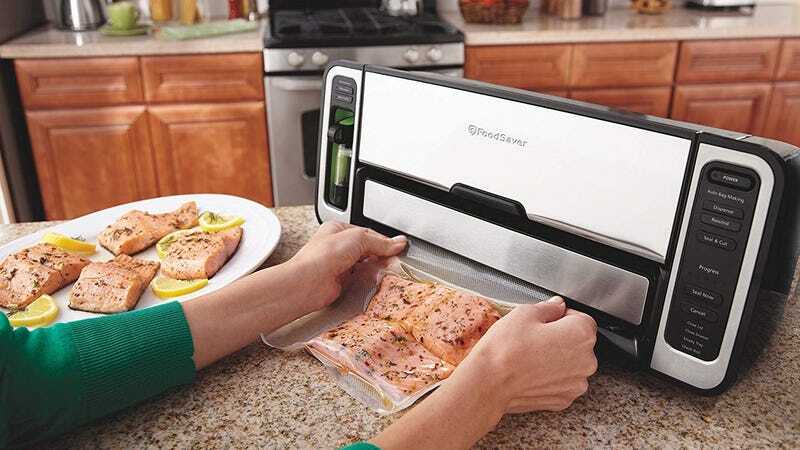 FoodSavers can pay for themselves by keeping your frozen and refrigerated food fresher for longer, and that’s not even accounting for how great they are for sous vide. This 5800-series model is one of the best your can buy. It automates every part of the process, from the bag feeding, to the sealing, to the cutting, and includes a handheld vacuuming hose that you can use with compatible FoodSaver accessories as well. You can buy it from FoodSaver’s site for just $120 right now, which is about half what Amazon is currently charging, and easily an all-time low.